Here are the instructions for the two beautiful cards from page 47 of the fall 2009 issue. Make a 5.5 x 4.25 card from cardstock. Cut five strips of patterned paper into 4” strips (from the top down: 1”, 2”, 1.25”, .75”, .5”) and adhere to card front. Zig zag stitch between all strips using a sewing machine. 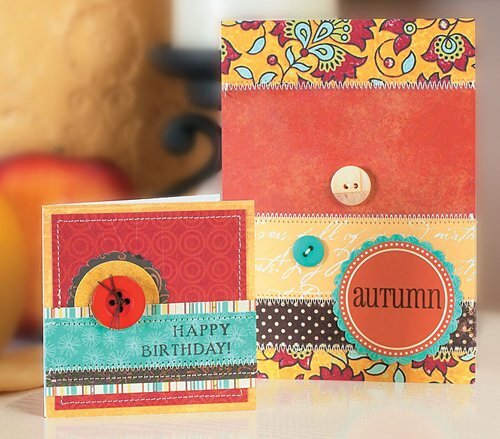 Use a scalloped circle punch on a piece of patterned paper; add sticker to center of circle and adhere to card front. Add buttons and hand-stitch in place. 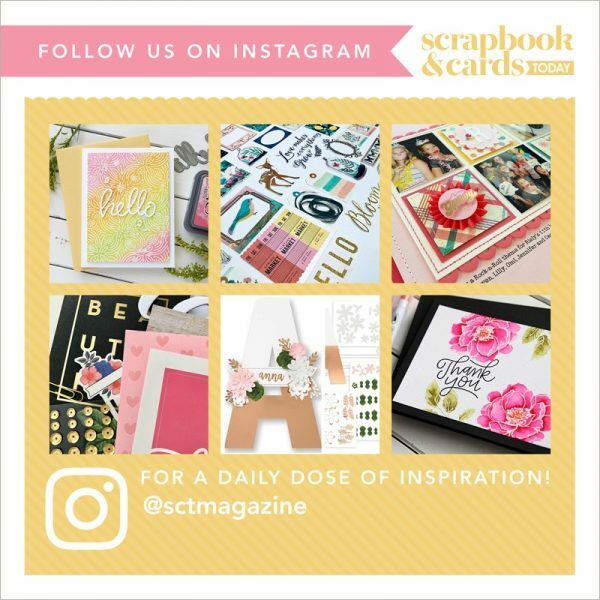 Make a 3 x 3” card from cardstock. Cut a 3 x 3” piece of gold paper. Cut a 2.75 x 2.75” piece of red patterned paper; adhere it to the gold paper and stitch in place with a sewing machine. Cut a 1.25 x 3” piece of striped patterned paper and adhere to card front. Cut a .75 x 3” piece of teal paper and a .25 x 3” piece of brown paper and adhere both over striped piece on card front. Stamp greeting on teal paper. Use a scalloped circle punch on a piece of brown paper; adhere a die-cut to the center; tuck it behind the striped paper and adhere in place. Machine stitch the teal and the brown strips to the card—use both zig zag and straight stitches if desired. Add a red button to the die-cut and stitch in place.